Our Audio Visual Maestro Graham Sergeant has struck gold gain with his touching AV Beeswing. 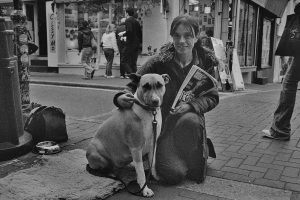 This evocative true story of a young homeless woman in Brighton won the Royal Photographic Society’s Gold Medal at the RPS International AV Festival last weekend. Earlier this year Graham became the first Brit to win the prestigious Grand Prix, Trophee de Paris, at what is the French equivalent of the PAGB (Photographic Alliance of Great Britain).